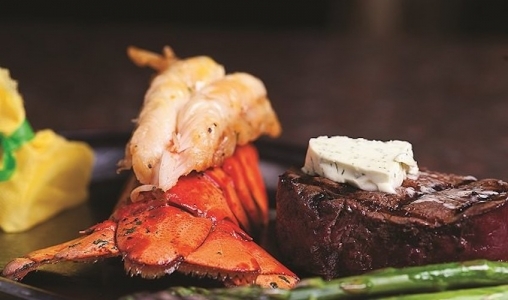 Located on scenic Victoria Row, Row House invites you to enjoy our unique surf & turf offerings. Try our Lobster Tacos or our AAA Scotch Whiskey Rib Eye. Sample our extensive selections of wines and scotches in the rustic elegance of our stylish decor. Enjoy outdoor entertainment from our patio and the summer vibe of Victoria Row. Named “World’s Best Ice Cream” by Tauck World Travel. COWS Ice Cream is made from a family recipe that has been passed down for generations. We use fresh, high-quality ingredients including cream from our Island farms. Visit our 7 locations on PEI. Our year-round location, COWS CREAMERY, offers a free, self-guided tours where you can see how we make delicious, premium ice cream, award winning cheeses and renowned COWS shirts. 'The place for lobster.' Lobster on the Wharf is Charlottetown’s premiere seafood restaurant. Enjoy fresh Island seafood as you watch the boats come and go on our water-front patio or enjoy the indoor air-conditioned comfort. Be sure to stop by our lobster pound on your way out to stock up for later!